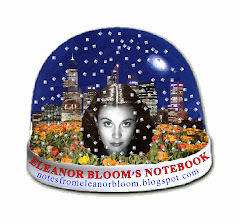 notes from eleanor bloom: Where have YOU been!!??? One of the high-profile torch bearers has pulled out of the Olympic torch relay which will run through Canberra on Thursday. The Australian Council of Social Service (ACOSS) president and the ACT Australian of the Year, Lin Hatfield-Dodds, says she is taking a stand for human rights. Ms Hatfield-Dodds says the recent scenes in Tibet are disturbing. "I felt I really needed to be very clear in my stance, which is very pro-human rights obviously, so I've chosen not to run." Ms Hatfield-Dodds says it was a difficult decision. "I'm passionately committed myself to standing in solidarity with those who are vulnerable and marginalised as are the organisations I have leadership positions in, the Uniting Church and ACOSS," she said. But, uh... so... what are you saying... This was not a problem when you signed up for the task? You thought China's human rights were quite alright up until now??? Despicable as China's actions in Tibet may be, protesters should take a larger view. They should realize that China has become the chief patron of the vilest regimes in the world — undercutting at most every turn, and every place, the West's efforts to promote human rights. How can the United States, Europe and the United Nations effectively isolate rogue states when China is more than willing to lend them money, buy their oil, sell arms and offer warm relations to most anyone who asks, no matter how murderous or corrupt. ... China is the chief benefactor for Sudan's genocidal leaders. In violation of a U.N. arms embargo, Beijing provides the weapons and ammunition that President Omar al-Bashir uses to arm militias that have slaughtered more than 200,000 people in Darfur. China buys 90 percent of Sudan's oil exports and has given the regime more than $1 billion in so-called "concessional" loans. They come with low interest — or none at all, and China has been quick to forgive them altogether. All of this for a state that the rest of the world regards as a pariah. Sudan is hardly the only questionable benefactor of Chinese largess. China remains Burma's most important ally. You may recall that Burma's military rulers ordered troops to shoot and kill dozens of Buddhist monks during pro-democracy demonstrations last fall. Once again, China buys oil and natural gas from Burma and sells weaponry to the junta. And then there's Iran. In 2004, a few months after the United Nations found that Iran was secretly processing nuclear fuel that could, eventually, be enriched for use in nuclear weapons, China signed a $100 billion deal to import natural gas from Iran over the next 25 years. What is more, China provided much of the equipment Iran first used to process nuclear fuel — and trained Iran's nuclear technicians. In recent years, China has struck energy deals with Hugh Chavez in Venezuela. The Chinese have begun oil exploration in Cuba. They made a mineral-exploration deal with Robert Mugabe, the president of Zimbabwe, who now appears to be stealing the presidential election there. Meantime, China remains North Korea's closest friend and protector. China provides about 70 percent of the renegade state's food and nearly 80 percent of its fuel. And let's not forget human rights abuses in their own country. So. Can I just repeat... "I felt I really needed to be very clear in my stance, which is very pro-human rights obviously".